As the new year approaches, I can’t help thinking about those things I’d like to freshen up in life. 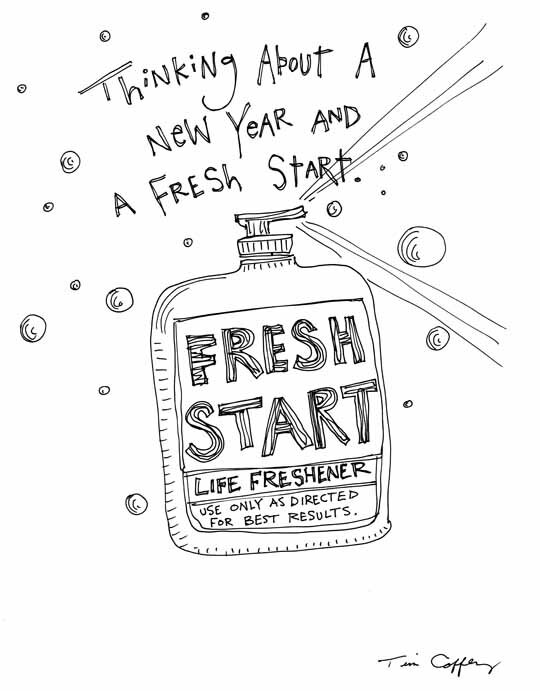 Wouldn’t it be great if we could buy “life freshener” in a spray bottle? It’s a challenge to make changes, and this year, I’m finding it a challenge to figure out what needs to be changed. Maybe it comes down to picking one thing and sticking with it – taking one goal and making it the priority for the year. For the past several months, this blog has been the one thing that I’ve tried to stick with every day, making a post no matter what. It’s true that I’ve missed a few days, but for the most part making the blog a priority has been a success. I wonder if it’s possible to add a second priority without affecting the first!